Following the blockbuster success of IT, Warner Bros. has put their sequel to The Shining, Doctor Sleep, on the fast track, bringing aboard director Mike Flanagan. The filmmaker is coming off another Stephen King adaptation, the Netflix original movie Gerald's Game, starring Carla Gugino and Bruce Greenwood. The filmmaker will rewrite the adapted screenplay, originally written by Akiva Goldsman, although no production start date or release date was given quite yet. What's interesting about this news is that it comes just under a month after the director had expressed his interest in directing this sequel as his next project, and now it's actually happening. 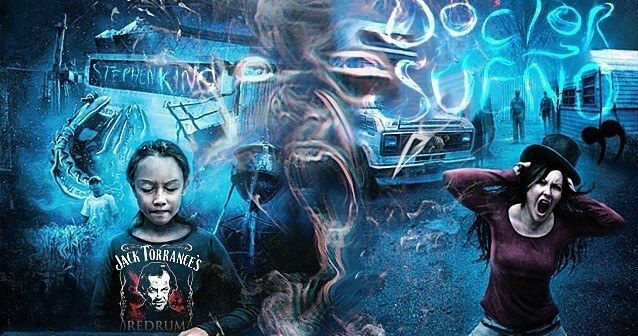 Writer Akiva Goldsman was brought on to adapt Doctor Sleep back in late March 2016, but there hasn't been any traction on this Stephen King adaptation since then. While The Dark Tower wasn't nearly as big of a hit as expected, last year was a big one for Stephen King fans, with the massive box office success of IT, plus Mike Flanagan's well-received Gerald's Game adaptation and 1922 for Netflix, and hit TV shows The Mist and Mr. Mercedes, so it's not surprising why the studio would want to put this project on the fast track now. Doctor Sleep follows Danny Torrance from The Shining, now as an adult in his 40s, who suffers from the same demons of alcoholism and violence that plagued his father, while still carrying the trauma he suffered at the Overlook Hotel as a child. He settles in a New Hampshire town that is also an Alcoholics Anonymous community, and finds a job at a nursing home, where his "shining" abilities provide final comfort to the dying. He meets a young girl named Abra Stone, whose shining abilities are the most powerful he's ever seen, which re-ignites his own demons, as he tries to save Abra from a tribe of paranormal entities lead by Rose the Hat. Last year there was even a crazy fan theory that connects The Shining to IT, claiming that the members of The Losers Club can all Shine, which is why Pennywise can't kill them so easily, and while it would be interesting to see Doctor Sleep connect to IT, it seems unlikely this will be featured in this adaptation. It's been 41 years after its first publication, and 38 years since The Shining movie was released, and the story is still more popular than ever, as illustrated by the aforementioned fan theory and much more. Universal Studios debuted a Shining maze as part of their Halloween Horror Nights event last year. There was also a prequel called The Overlook Hotel, which had Mark Romanek (One Hour Photo) attached to direct from a script by James Vanderbilt (Zodiac), but there hasn't been any movement on that project in over two years. Perhaps Doctor Sleep getting put on the fast track could cause The Overlook Hotel to be revived as well. Mike Flanagan's producing partner Trevor Macy will produce alongside Vertigo Entertainment's Jon Berg, with Akiva Goldsman serving as an executive producer. Mike Flanagan made his directing debut with 2000's Makebelieve, while working as a writer, director and an editor on a number of projects, but he had a breakthrough in 2013 with his critically-acclaimed horror-thriller Oculus. Since then, he's been quite the in-demand filmmaker, writing, directing and editing Hush, Before I Wake, Ouija: Origins of Evil and Gerald's Game all within a two-year span. He is also creating the new series The Haunting of Hill House for Netflix, and directing the pilot episode, while also writing the script for a remake of I Know What You Did Last Summer. Deadline broke the news on Mike Flanagan's involvement in Doctor Sleep earlier today.